In just a matter of 24 hours, cryptocurrency markets with Bitcoin in the lead, saw a whopping $60 billion getting wiped off their values on Thursday. Nearly every cryptocurrency at the top of the pile was headed south. This major collapse was triggered by multiple factors including closer scrutiny of the space by regulators, Google announcement regarding banning crypto related advertisements and a large selling by a trustee of Mt.Gox, the crypto exchange that is now defunct. Bitcoin however staged a mild recovery later in the day to get past $8,000 to $8,219.77. Consequently, the market cap of all cryptocurrencies has been pushed down to $331.7 billion. When Google announced its decision to ban cryptocurrency related advertisements, it was expected that Bitcoin would remain unscathed since it does not rely significantly on advertisement and has an inherent strength of its own. However, Bitcoin lost about 10% in a single day and plummeted by as much as 40% from its January, 2018 prices. In another related development in the U.S., the Financial Services Committee in Washington was engaged in a hearing on ICO and cryptocurrency markets. Chairman of the sub-committee stated that he intended to push for enhanced oversight. Another report from Allianz, a European company in the financial services sector echoed the bubble nature of Bitcoin and other cryptocurrencies adding that the fair value of bitcoin, in their opinion should be zero. Regulators elsewhere around the globe have also been sending out strong signals on measures on the anvil to bring crypto exchanges and ICOs within the ambit of regulation in respective nations. Yet another reason for the present state of cryptocurrency markets including Bitcoin is the series of scams in the ICO market. According to a recent CNBC report, scammers have made good with more than $2 million through apparently fake ICO. An ICO helps start-ups in raising investment through crowd-fund instead of knocking at the doors of venture capitalists. Companies can offer an ICO allowing people to invest in cryptocurrencies like bitcoin or ethereum and receive a new token from the start-up in exchange for the funds. The new token or digital coin does not constitute equity and can be exchanged for services offered by the company on a future date. Potentially, the new coin can also rise to a significantly higher price compared to the original investment. Observers following yesterday’s developments with bitcoin price and other cryptocurrencies have opined that stricter regulations will be helpful in ‘weeding out’ the bad actors from the crypto space. Apart from crypto enthusiasts even some of the bitcoin detractors had welcomed the measures in spite of potentially taking a hit because of the fall in prices. Managing partner of $APEX Token Fund, Chris Keshian argued that regulation is a step forward for a cleaner and safer crypto environment. He added that Google’s action was being seen as progressive so long as they have an open mind and do not paint every cryptocurrency with the same brush. He stated further that crackdowns on cryptos are the best means of getting rid of fraudulent and irresponsible ICOs and also enhance focus on instances of unregistered individuals acting as brokers, agents and investment professionals in the crypto space. He added that this would be a key measure towards cryptocurrencies becoming a stable and mature asset class. He opined further that more such bans may be coming and meaningful regulation will sweep through the crypto space. Google’s announcement on banning cryptocurrency advertisement also elicited mixed reactions from other quarters. Speaking to CNBC, CEO of BKCM, Brian Kelly stated that in the grand scheme of things, the ban amounted to hardly anything significant, particularly because China banned Bitcoin as early as 2013. But others were more peeved on the Google action and felt that as a tech pioneer driving innovation around the globe for SMBs as well as consumers the blanket rule from Google ignores the blockchain technology that is driving the cryptoworld. Therefore, some people hold the view that this is a step backward and see the action as stifling innovation in the tech space that helped them grow. They also added that often times, Blockchain gets misplaced under the criminal umbrella of Bitcoin and other cryptos. This gives rise to an ironic situation where one fights fraud while the other can facilitate it. The present developments can also potentially affect mining and the present shortage of GPUs. Some brave hearts, meantime, are not reading deep into the price drops and hold the view that Bitcoin in particular has been very volatile. 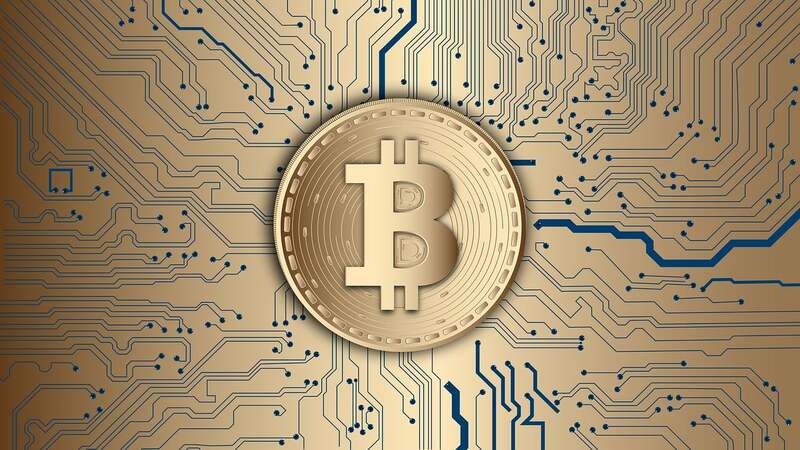 On the mining scene however, most of bitcoin mining has shifted to ASIC hardware though many other altcoins can be mined on other hardware configurations and traded for Bitcoin. Hopefully new announcements on GPUs should be round the corner and GTC as well as GDC might also be coming soon.